When your home life is very different than everyone thinks it is…I’d call that living a lie. 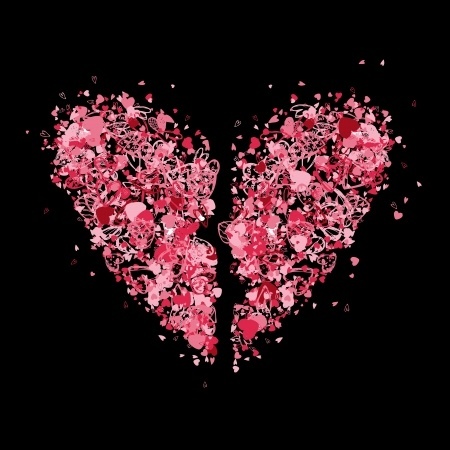 When your heart is broken, but no one knows it, that is living a lie. Or, when you think that you are someone you are not, you are living a lie. God created man in His own image, in the image of God He created him; male and female He created them (Gen 1:27). We were created to glorify God, to bring Him honor by reflecting His image. Paul says, “therefore be imitators of God, as beloved children” (Eph. 5:1). And Jesus says this of Himself: I am the Way, and the Truth, and the Life. No one comes to the Father except through me (John 14:6). We are called to be Authentic. When our lives lack authenticity, we feel less than. We feel fractured. We feel not held together. We lack a firm foundation. This is the message we have heard from Him and proclaim to you, that God is light, and in Him is no darkness at all. If we say we have fellowship with Him while we walk in darkness, we lie and do not practice the truth. But if we walk in the light, as He is in the light, we have fellowship with one another, and the blood of Jesus His Son cleanses us from all sin (1 John 1:5-7). People who walk in the darkness? That must be someone else. That must be some other person…and you can spot those people easily, right? Wrong. Many Christian women have kept, or do keep secrets…personal secrets, family secrets. And their hearts grieve, and cry out, from the lack of authenticity in their lives. On one hand, we should exercise discretion when we share our hearts and our lives with others. There are times we must protect someone we love while they struggle. And there may be some people in our lives who would prey upon our vulnerable hearts. Obviously, not everyone needs to know every sordid detail of our lives. But carrying heavy secrets, your own or someone else’s, will take a toll. An important aspect of Integrity is Authenticity. We were made to reflect God’s character and He is Truth. You could say we were made for truth. When we live a double life, we lack wholeness. Wholeness = Integrity. Over the next few posts, let’s talk about what it does to our hearts when we choose to, or are forced to, live a lie. Opticians now offer glasses with titanium frames. Titanium twists and bends but maintains its integrity. It always goes back to its original shape. That’s what a Christian should be like. We bend ; we are flexible on certain issues. However, we always retain our integrity. We refuse to compromise the Truth of God’s Word. “For we are not, as so many, peddling the Word of God; but as of sincerity, but as from God, we speak in the sight of God in Christ” (2 Cor. 2:17). “But we have renounced the hidden things of shame, not walking in craftiness nor handling the Word of God deceitfully, but by manifestation of the Truth commending ourselves to every man’s conscience in the sight of God” ( 2 Cor 4:2). Press on, mighty soldier in Christ…. or are you a knight ? Continue speaking boldly for Him and causing us to consider our walk with Him. You are beautiful! Ohh – you have the heart of a writer! Yes, God’s Word is our true North. So good to have solid ground in this shaky world. Enjoying the conversations we are having about this! I am excited to see where this is going!..Already I felt the conviction questions-Do I live with authenticity? Yes! I think this is often why we feel out of sorts. Pray that I can articulate this well. I think this is an important message and I want to say it well. 🙂 Love you friend! I'm a work in progress. Lately, I'm trying to learn how to plant deep roots after a lifetime of military moves. Planting seems to be slow work for me!